East on the Broadwater is a new apartment project overlooking, funnily enough, the Gold Coast Broadwater. The seven-storey development will include two three-bedroom apartments per floor. 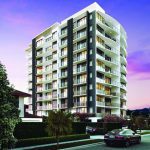 East on the Broadwater — new apartments for sale in Biggera Waters. Image provided by developer. Prices for these brand-new apartments start at $1,900,000. There are only two apartments per level, so every resident will only ever have one neighbour. Almost every aspect of the new apartments for sale at East on Broadwater can be customised if bought before construction starts. 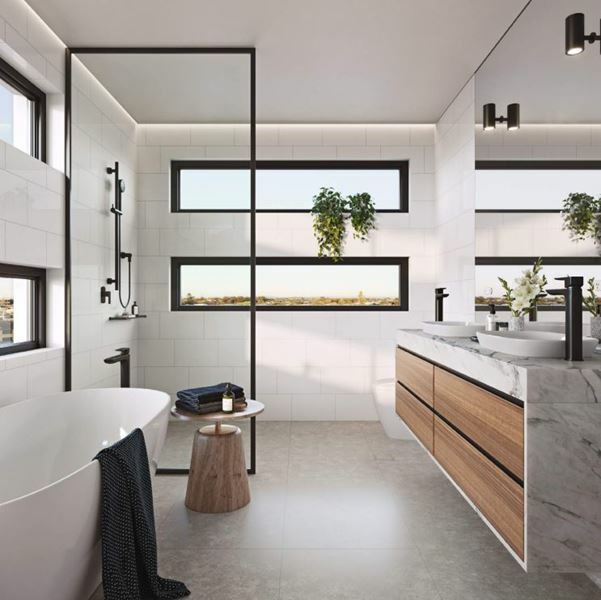 East on the Broadwater is a boutique apartment development overlooking the Gold Coast Broadwater. These new Biggera Waters apartments will be a seven-level development with two apartments on each level, each taking up 260 sqm of space. 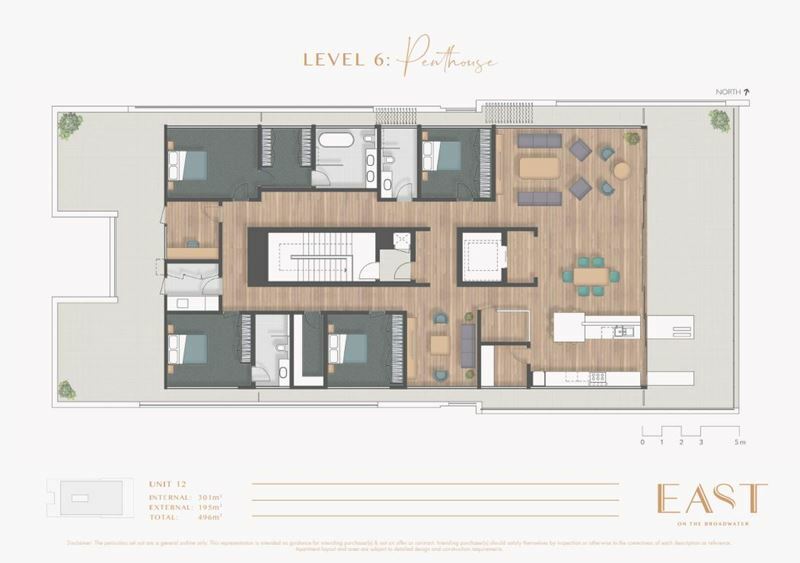 The three-bedroom apartments for sale in this new Biggera Waters building can all be modified, so everything from layouts to powerpoint placement can be altered. East on the Broadwater apartments view. Image provided by developer. The views each apartment has over the Broadwater cannot be built out due to the location of the project. A park separates East on the Broadwater from the water, so buyers can rest assured that they will never lose their sought-after views. 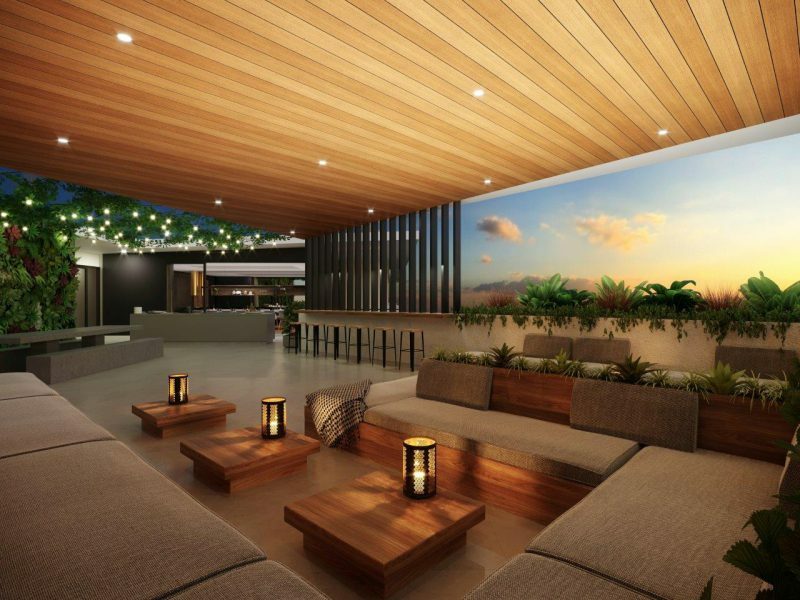 Given that each bedroom and the open-plan kitchen/lounge area are all set to have these views, this is a big plus for these off-the-plan apartments! Every apartment has quite a number of inclusions and it is clear that every detail has been thoroughly thought about. There are two secure car parks with each apartment, along with a smart lighting system (so you can always set and change the mood! ), plus individual revere cycle air-conditioning and hot water for each apartment. The almost completely customisable aspect means that buyers can create the off-the-plan apartment of their dreams. The incredible waterside location means that views will never be built out and each bedroom has a balcony from which to take in the view. East on the Broadwater apartments in Biggera Waters are designed so that buyers can easily live out their retirement in their new home, with larger than normal doorways and extra storage features of all the apartments. Biggera Waters is a quieter suburb at the moment, but there is expected to be a few developments throughout the area over the coming years, which may result in noise and road closures. There is no pool, communal or otherwise, for residents to use (although with the beach right across the road, this isn’t really a problem at all!). East on the Broadwater is located at 412 Marine Parade, Biggera Waters. 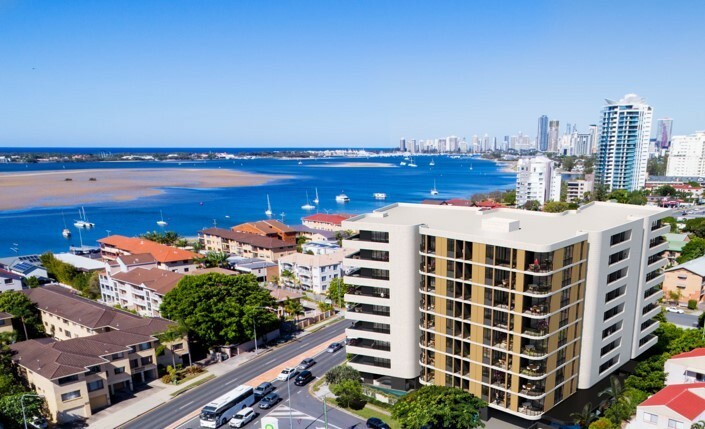 The boutique apartments for sale here sit just across the road from the Broadwater, meaning the views from every apartment cannot be built out. Harley Park, which separates East on the Broadwater from the Broadwater, runs down quite a bit of the beach opposite Wave Break Island, which is great for those who love to go for daily walks, or have kids that need to work off some energy. Brisbane Road is just around the corner, and with it, pizza shops, gyms, a Coles express — anything you’d ever need. A short distance from Brisbane Road, the Metro Market Shopping Centre has everything else residents could need, including a physio, doctor’s surgeries, a hairdresser, and a bakery. Read more about living in Biggera Waters in our full suburb profile. Residents will have access to a communal BBQ area. This space has been created so that residents can interact with each other, hang out with family and friends, or simply just relax. 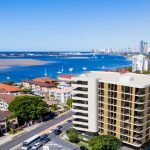 All of the apartments for sale in East on the Broadwater come with three bedrooms as standard, however, this can change for buyers who get in early. Given that there are only two apartments per floor, each apartment spreads over 260 sqm, meaning there is space for everything you might want in a new property — from a laundry room and connected balcony, to a separate ½ bath close to the main living and dining areas. These off-the-plan apartments are great for downsizers and commendable for the inclusions of extra storage, level flooring, larger-than-normal doorways, and wide entrance hallways. This makes them ideal for buyers wanting to retire to the Gold Coast and those who plan on growing old in their apartment. Individual reverse cycle air-conditioning and hot water system is part of each apartment, along with secure basement parking for two cars, and audio intercom access for security. There’s also ambient LED lighting with a smart wiring control system, allowing residents to set and change the mood for any occasion. 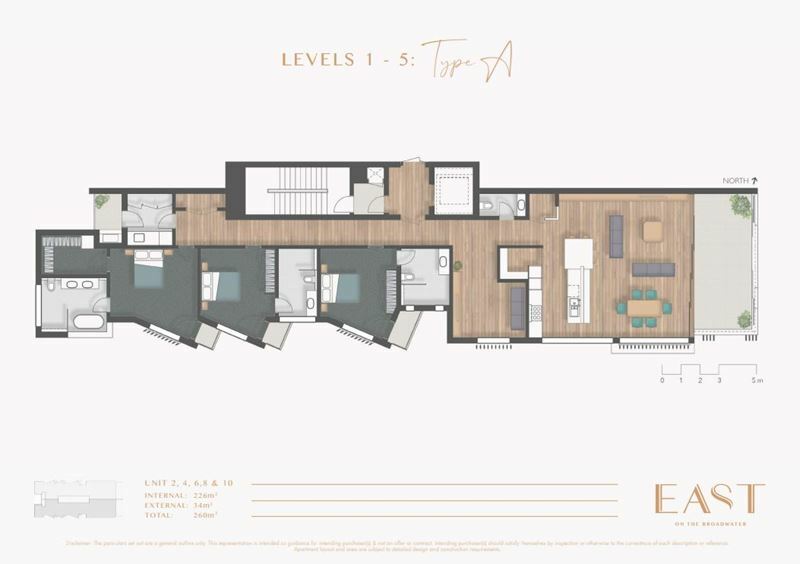 As we mentioned above, all of the floor plans at East on the Broadwater are completely customisable if bought before construction starts. 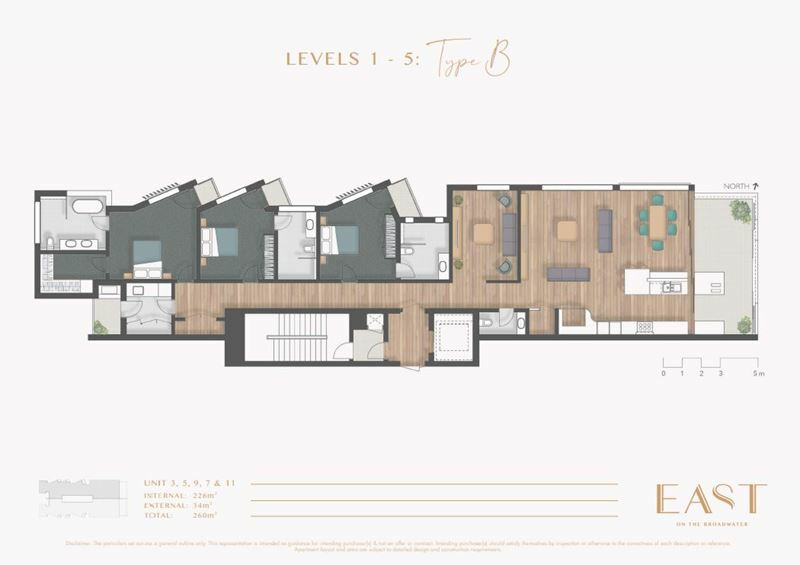 Below, you can see example floor plans. Please enquire below for all of the floor plans. Every apartment has five balconies, with three of those belonging to the individual bedrooms. All three bedrooms also have their own private bathrooms, which is always a nice touch, and there is a separate ½ bathroom close to the main areas. The master bedroom, which you can see at the rear, also has a walk-in wardrobe and is slightly more spacious than the other two bedrooms. The open-plan kitchen, living and dining area is designed to create a space where residents can hang out with each other, or entertain their friends and family easily. Given that there’s also a butler’s pantry in the kitchen, the space is definitely designed for both functionality and enjoyment. This area also opens up onto the main balcony, giving residents Broadwater views that can’t be built out. The laundry opens up onto the final balcony, which is ideal for residents hoping to cut down electricity costs by air-drying clothes instead of using the clothes dryer. The media room, which lies adjacent to the main area, is ideally placed to have a quiet night in, or as somewhere to send the kids when you’re sick of watching their TV shows! Every apartment has stairs and an elevator which open up into a shared space between the two apartments on each level, which then opens into their respective apartments. 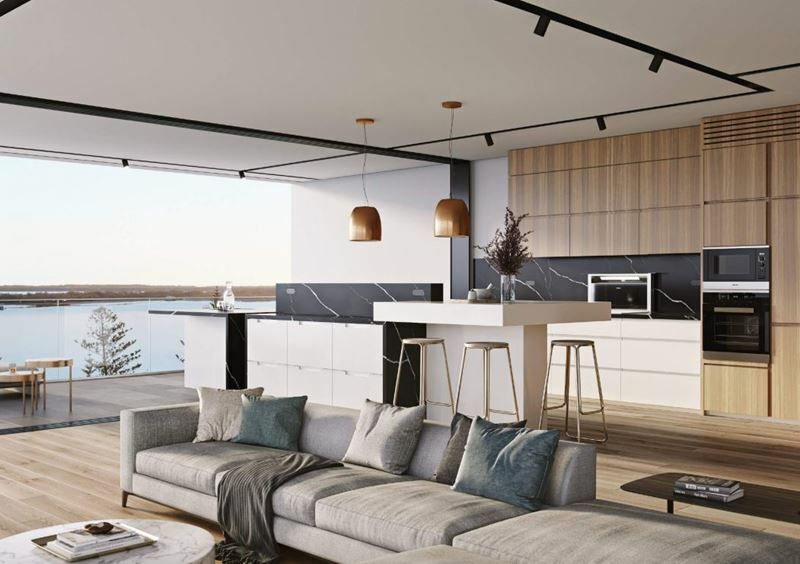 East on the Broadwater’s design team have created a stylish selection of interior finishes whose materials, textures and colours, compliment each other, however, early buyers can make alterations prior to construction commencing. Basic features, like the European oak solid timber floors throughout, can be altered, as can the placement of power points. You can also choose to add a wine storage room, if that’s more up your alley. Some features that all of these new Gold Coast apartments will share is the abundance of natural light in the bedrooms and living/dining areas. This is due to the floor-to-ceiling windows and sliding doors throughout these spaces. All the bedrooms will have 100% New Zealand broadloom wool carpets, which are apparently so plush you sink into them when you walk. All of the appliances in both the kitchens and the laundry are Miele. 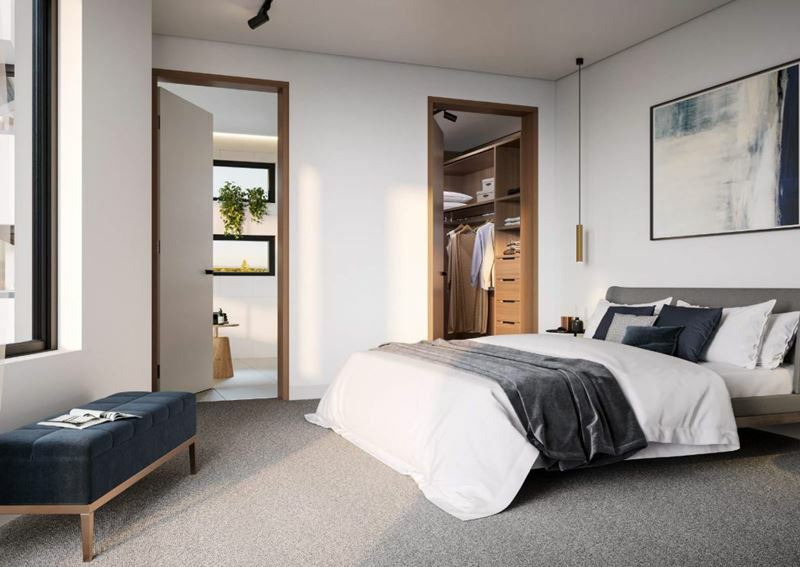 The East on the Broadwater apartments are being created for owner-occupiers, so there is currently no investment analysis available for these apartments. There are several projects in the neighbouring Gold Coast suburbs of Labrador and Runaway Bay. Summit Labrador is a new apartment development one block back from the Broadwater, with the 83-apartment development currently undergoing construction. 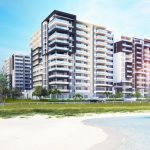 Other developments in the area include Coast Broadwater, which will include three 12-storey towers on Marine Parade in Labrador, along with Brightwater Apartments, which buyers could move into today. The Handsford Residences, which are located in Coombabah, are a collection of 59 new townhouses. The body corporate fees are expected to be approximately $70 a week at East on the Broadwater. 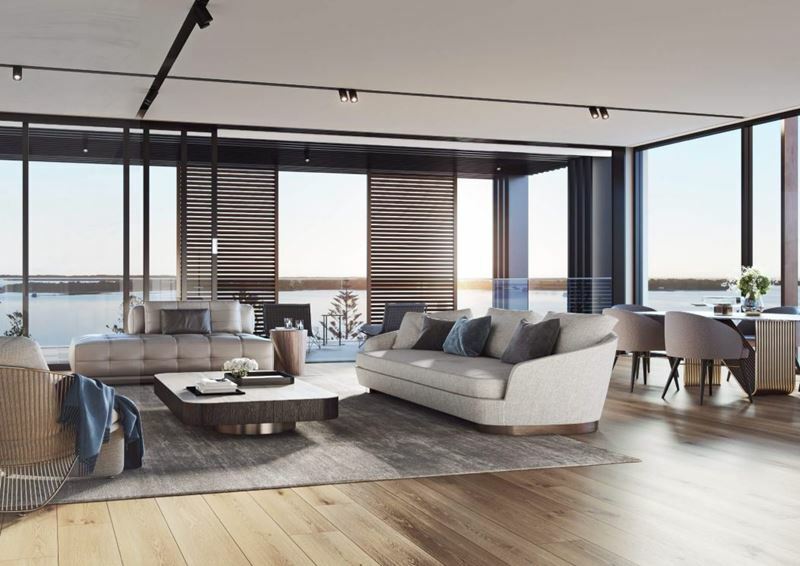 East on the Broadwater is being developed by Pex Projects. After their success in the Sydney market, Pex, buoyed by its customer-centric design philosophy, is now moving its operations to the Gold Coast property market.